“I first discovered Save Your Sole when looking to repair my pair of Christian Louboutin. I can ensure you that I have since became totally addicted to the idea and to the product. Save Your Sole has become a feature in my shoe racket! The soles are extremely thin and very comfortable, and on top of that, my shoe-repair guy told me that, as they are made of hardware material, they are much stronger and will last longer then the horrible pale ones you normally get in any shoe-repair. 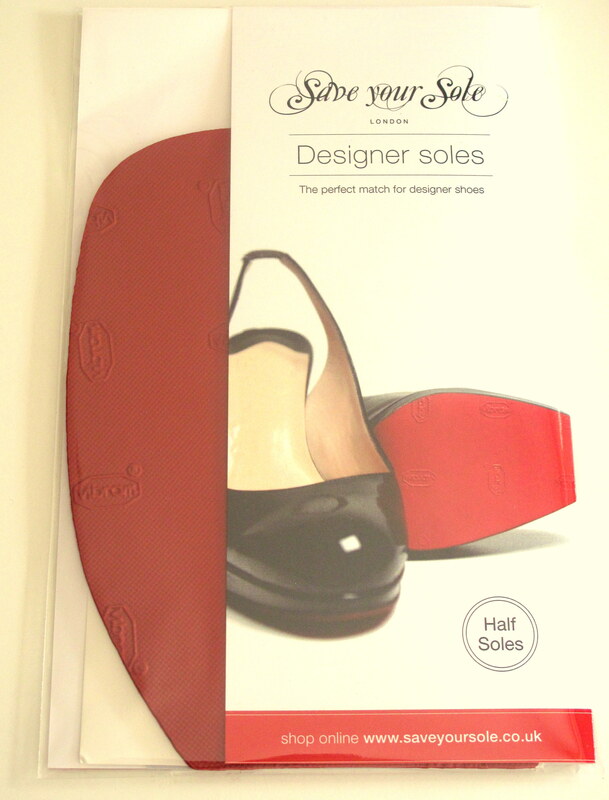 They match all colours for any designer shoes you might have. I have since repaired all my Louboutin, Alexander McQueen, Miu Miu, Givenchy and Rupert Sanderson shoes… all with colourful soles and they look fabulous! Not only Save Your Sole is a great option to repair your sole, but also as an option for long-lasting quality on your new shoes. I now tend to add the sole to my brand new shoes, so 1) they are not slippery and 2) to protect the sole and make the shoes last longer… at the end of the day, designer shoes aren’t cheap and every help we can get is welcome! Show your shoes some love today!